Phuket nowadays hosts many sporting activities almost on a weekly basis, especially local and international running events, not to mention cycling and water sports. More and more amateur and professional athletes arrive to compete here. Phuketindex took the opportunity of talking with the Director of Tourism and Sports Phuket Office, Khun Sirawee Waloh to get an in-depth overview. 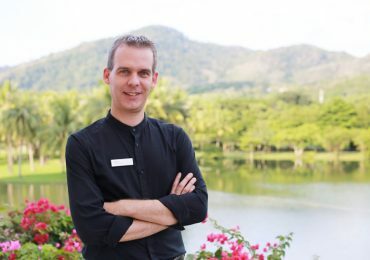 What is the main role of the Tourism and Sports Phuket Office? We work together with other offices and organizations. However, our main mission is about development. The TAT (Tourist Authority of Thailand) takes the main role in publications and advertising to attract more visitors while the Tourist Police are responsible for issues involving law and security. The Tourism and Sports Phuket Office is responsible for the development of tourism in every aspect, including improving attractions and human resources. We’re also concerned about sports – meaning both basic sports and public sports. This involves different age groups such students up to senior levels. The office works with networks that support and strive to achieve each mission according to the national sports policies. I also have the role as the Director of Tourist Assistance Center (TAC) which is located in three places; Phuket International Airport, Phuket Gateway and at Chalong Pier. We also take care of Tourism Business and Guide Registration Office in Phuket. 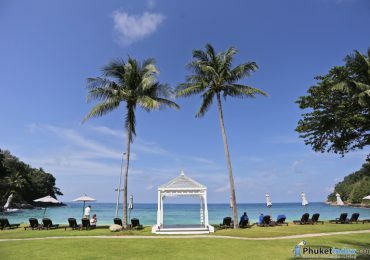 Not only that, Phuket is also a part of a plan to develop tourism in the greater Andaman Region. Taking the lead of Ex-Governor Noraphat Plodthong, we act as a committee and secretary for the development team. Also, our job is to look after production teams from overseas who come to Phuket in order to make movies or documentaries. We work with local administrative offices, national parks, provincial public relations office and the Tourist Police to make sure there is nothing in the film or documentary that violates or denigrates our morals, culture, and traditions. What are your views on sports in Phuket? I see many parents supporting and encouraging their children to participate in sports at a very young age, whether it’s swimming, gymnastics or football. We support them from kindergarten level up to higher levels of education. There are sports events held to push this forward. Just about all popular sports in Phuket for students are promoted such as football, volleyball and some beach sports. We also need to mention the Sports Authority of Thailand who works with us to support young athletes who have the potential for excellence and who may rise to professional levels. Our kids don’t just only have strength – they use their brains, too. I think people have more interest in running than almost anything else. Even our Ex-Governor Noraphat Plodthong supports running and when the business sector wants to organize a running event you can count on it attracting visitors. We also have popular cycling events. These events not only attract athletes themselves but also their family members. I think there will be more events with new routes introduced in the future. Any international sports events to be held in the future? There will be a ‘Phukethon’ organized by the Sports Authority of Thailand to be held soon. A cycling event ‘Tour De Andaman’ will also take place in the Andaman region. Cyclists will be able to enjoy the beautiful views along the routes through Phuket, Phang Nga, Krabi, Trang and Satun and this year even up to Ranong. 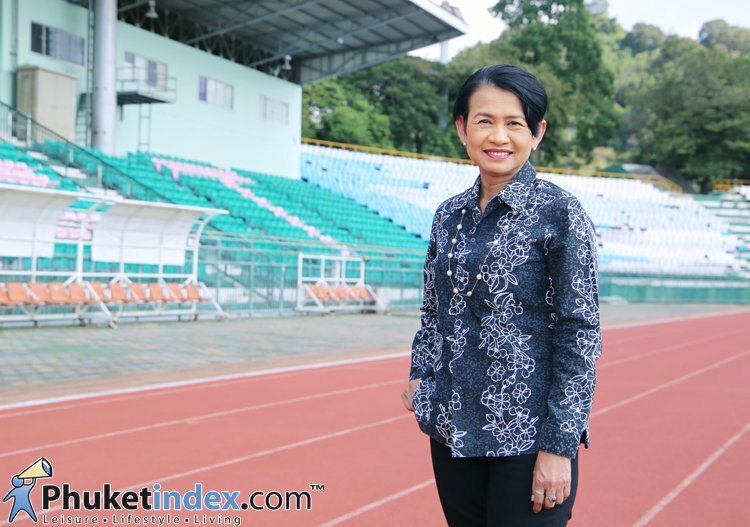 What sport do you think will be popular in Phuket five years from now? I think running is the exercise that requires the least equipment. You just need shoes to run! But not only in Phuket; I think that running is going to be ‘in’ for Thailand and indeed all over the world. Cycling is also still very popular as well as water sports. We can even have a cycling event in Phuket connected to cliff climbing in Railay (Krabi). This is what we expect to see more in the future, cooperation between provinces to build up a strong sports and tourism culture in the Andaman Region. These sport events not only boost people’s health, they also bring income to the local communities. We would like to ask locals to welcome and come out to cheer athletes along the way when we host these events to create a warm welcoming feeling so that athletes themselves will be encouraged to find out more about the village and community. Badminton was my favourite sport during my years in junior-high school. The reason I enjoyed badminton was because it’s a fun thing to do with my family after school, and the equipment was inexpensive and easy to find. However it’s become more and more difficult to get together for a game. Now, running is my favourite exercise. Phuket is known as one of the world’s leading sports tourist destinations and Asia’s premier destination resort. Laguna Phuket is proud to be one of the first established international sporting event venues in Phuket. We’ve hosted many annual sporting events in our 31-year history such as the Laguna Phuket Marathon that saw its 13th edition last June. Our own 18-hole golf course has also hosted renowned series and opens such as the All Thailand Golf Tour’s Singha Laguna Phuket Open in May, and this November we’ll see the return of Faldo Series Thailand Championship (south). Laguna Phuket not only hosts national and international sporting events, we are also a place where people come to exercise on a daily basis. Whether running on the footpath along the road, cycling, or swimming at Bangtao Beach, our guests, community members and associates enjoy their workout amidst the tropical parkland at our resort. We also have our own associate running club to encourage sports participation and a healthy lifestyle. In addition to our own onsite golf course and exercise area at Laguna Phuket, each of the seven hotels within our resort has a dedicated gym/fitness centre, swimming pool and recreation department. Activities such as table tennis, fitness training, swimming, bicycling, kayaking, yoga, sailing, water polo, beach volleyball are available at most of the hotels. I love running. This sport is easy for everyone to start with and it’s good for your health. Many people that I know are a lot healthier and less prone to illness when they consistently keep it up. Running is very popular in Phuket and there are several running charity events held to raise funds, with the majority to support education for underprivileged children or to purchase medical equipment for hospitals. In August 2018, Amari Phuket participated in the annual Patong Games, which was organised by the Patong Hotel Association. Some 44 team members from Amari Phuket joined in this event. Many sports are included in this competition, such as football, volleyball, sepak takraw (foot volleyball), pétanque and running. Amari Phuket will continue to take part in this event annually as the team members of each organisation in the Patong area get the chance to know each other more and to strengthen their relationships within the community. We have a professional recreation team that includes several sports and workout programmes for all guests. For children, we have a Kids’ Club daily from 10:00 to 19:00. Children aged 4 to 12 are welcome to join in at many sessions such as making batik T-shirts, caps, plaster and umbrella painting; flower making; and DIY products of their own design and creation. We also provide lots of adult activities, starting from beginning to advanced sessions. As Amari Phuket has a large area, there are many locations at which to conduct activities. Our popular classes include muay Thai (Thai boxing), yoga, pilates, abdominal exercises, body combat, tai chi, cardio workouts, weights and circuit training. We also have a personal trainer available for guests who would like private classes to focus more on exercise during their stay. My favourite sports are swimming and running. It’s important to stay focused at work and away from that swimming and running are great activities at which to unwind. Running can actually help to lower the risk of breast cancer. It can also help reduce the risk of having a stroke and running is one of the best forms of exercise for losing or maintaining a consistent weight. You’ll find that it’s a leading way to burn off extra calories and that it’s the second most effective exercise in terms of calories burned per minute. I enjoy sports to relieve stress as stress can actually cause a number of health and mood problems. It can also diminish appetite and sleep quality. When you run and swim you force your body to exert excess energy and hormones. Both sports also help reduce your chances of developing headaches due to tension. Running is incredibly beneficial for the body, mind and spirit. You’ll find that even short runs can leave you feeling more energized, more focused and better able to enjoy all that life has to offer. We’ve been sponsoring local races as part of Marriott’s ‘Spirit to Serve’ commitment, which allows us to make positive local community contributions. We hope that by supporting this event, we will encourage more people to join Thanyapura’s yearly sports event. Health and wellness are so important in life, and running is one of the most significant sports in Phuket. 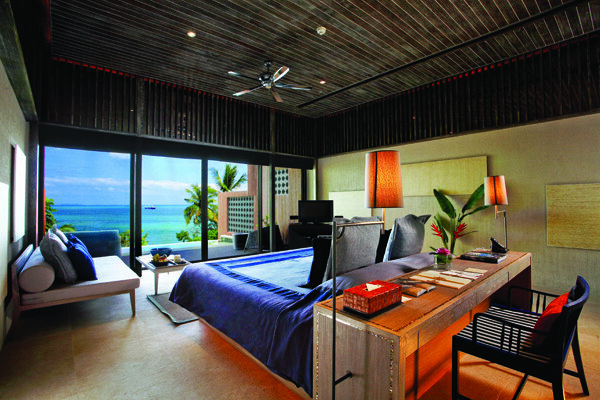 You can check on our facebook fanpage ‘Phuket Marriott Resort and Spa, Nai Yang Beach’ for updated news. My favourite sport is bodybuilding. It makes me healthy and also helps me look good and fit when practiced regularly. This sport strengthens my self-confidence. We have many sporting facilities as a swimming pool, tennis court and fitness areas. We also provide personal trainers for those who want to focus on their exercise and nutrition.